Turning 21... err, no, isn't is 35, Katrina Kaif? The actress, who turned 35, is celebrating her birthday with family in England. 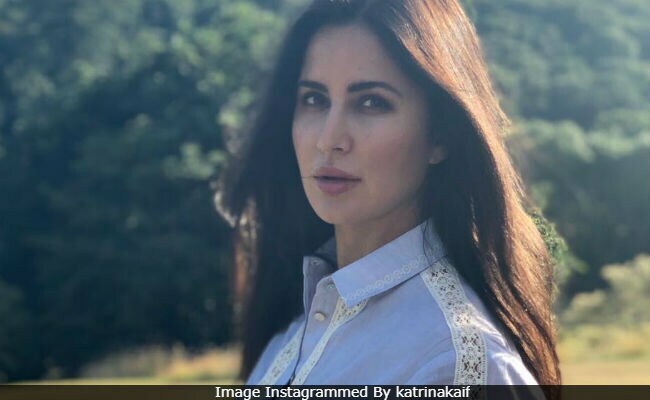 Katrina has given herself the best birthday wish and shared it with her Instafam. (Take notes). "My 21st birthday today. Ok, fine. Plus a few more years," Katrina wrote, adding a fabulous picture of her own, amidst a breath-taking view. (LOL). Katrina appears to have been photographed at a countryside in England, where she is holidaying with her sisters. Celebs like Tiger Shroff and Shraddha Kapoor have liked her picture, along with several of the actress' fans. The comments section is flooded with birthday wishes for Katrina Kaif. Alia Bhatt, Tiger Zinda Hai director Ali Abbas Zafar and Arpita Khan Sharma also posted messages for the birthday girl. (Once again, Happy birthday, Katrina Kaif!). Of her birthday plans, Katrina Kaif told news agency PTI, "Birthdays for me are about having a good time with your loved ones. I don't believe in reminiscing too much. Every year I try and have a good time. I am at a place in country side with my sister. I am happy about the day. It is all about having fun, chilling and relaxing." She has also posted these pictures from her holiday. Once back to India, Katrina will complete Zero, for which she has to shoot a song. Zero, starring Shah Rukh Khan and Anushka Sharma with Katrina, releases this December. She also has Thugs Of Hindostan, starring Aamir Khan, Amitabh Bachchan and Fatima Sana Shaikh, up for release in November.